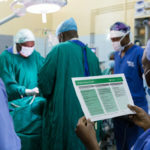 Easter is special for Mercy Ships, as we reflect on the hope and healing our volunteer hospital ships bring to those affected by the global surgery crisis in Africa — healing that’s made possible thanks largely to Christian charitable giving. As the most important holiday on the church calendar, Easter is always a special season. It’s a time of new beginnings and new hope as we celebrate Christ’s triumph over death. 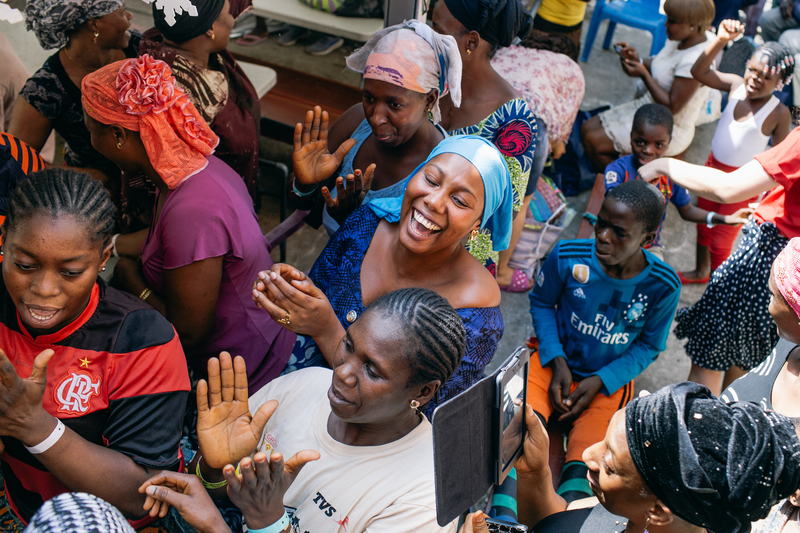 It’s an especially monumental holiday for Mercy Ships. Hope manifests itself daily on our hospital ship, the Africa Mercy. 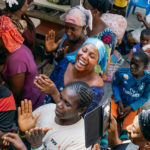 Our volunteer medical professionals give new hope to people suffering from treatable conditions, providing free, life-changing medical care that otherwise wouldn’t be available. Mercy Ships patients come from far and wide, desperately seeking help and hope. They are blinded by cataracts, crippled by limb deformities, shunned because of tumour growths or disfigurements. But Mercy Ships gives them an opportunity to start anew. By giving sight to the blind, helping the lame walk and restoring dignity to the outcast, we give hope for a new life. And what better time to celebrate these joyous transformations than Easter! As Christians, we’re called to follow in Jesus’ footsteps, serve the poor and put others before ourselves. We are pointedly reminded of that at Easter when we honour His sacrifice and celebrate the gift of new life. You can change a life this Easter. Mercy Ships is driven by generous individuals who put their faith in action. On our ship, 400 volunteers at a time put their skills to work in service of a higher calling. Just as important, though, are the financial supporters who make this work possible. 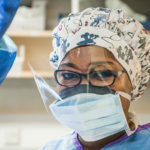 As a Mercy Ships donor, you can stand beside our volunteers and take an active role in providing life-changing medical care to the people who need it most. The need is so great that it can seem overwhelming at times. 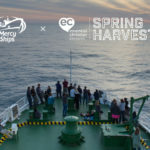 But Mercy Ships gives us a way to take action and make real change in individual lives. 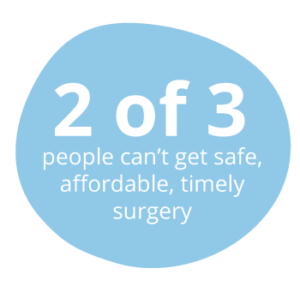 Two-thirds of the world’s population cannot get access to safe surgery when they need it. 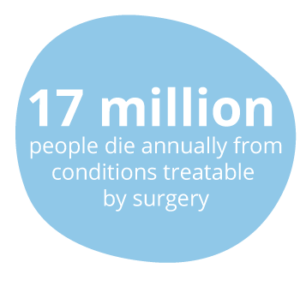 More than 17 million people will die this year because of conditions that could be treated with surgery. That’s more than the number who will die from TB, malaria and HIV/AIDS combined. 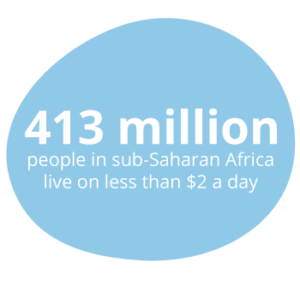 About 413 million people in sub-Saharan Africa live on less than $2 a day, and the number is increasing. By 2030, nearly nine out of 10 of the world’s poorest people will live in sub-Saharan Africa. While parts of the continent of Africa show great growth, many of our brothers and sisters remain in desperate need. 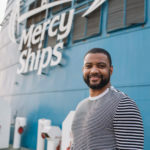 You can help them with a gift to Mercy Ships. As we celebrate the Resurrection, let the joy inspire you to open your heart. Give hope to someone in desperate need by making a gift today. Lea Milligan is Executive Director of Mercy Ships UK.